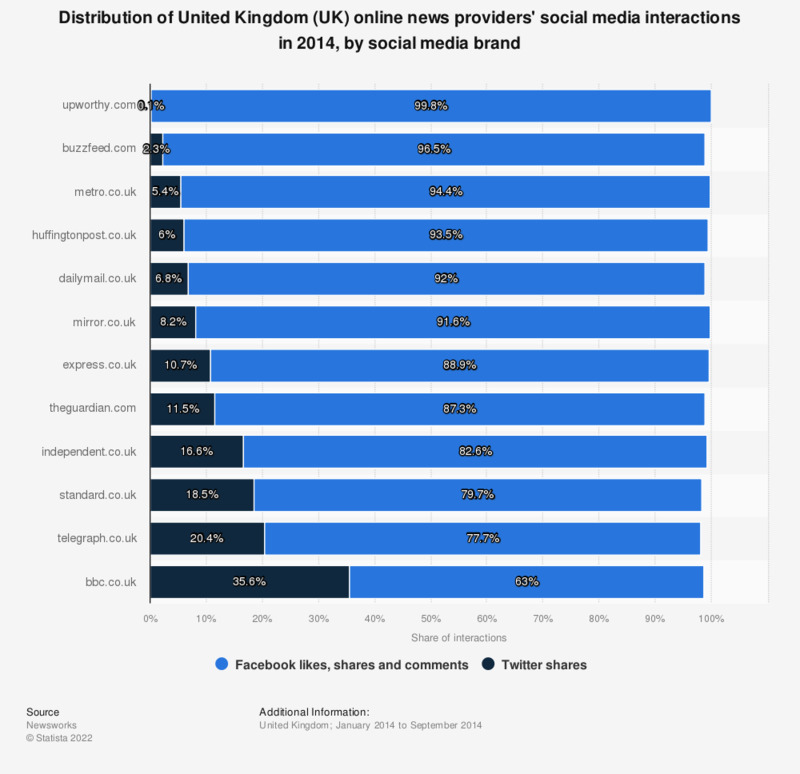 This statistic displays the distribution of United Kingdom online news providers' social media interactions in 2014, by social media brand. Upworthy and Buzzfeed relied heavily on Facebook likes, shares and comments. Of BBC interactions, 35.6 percent were Twitter shares.